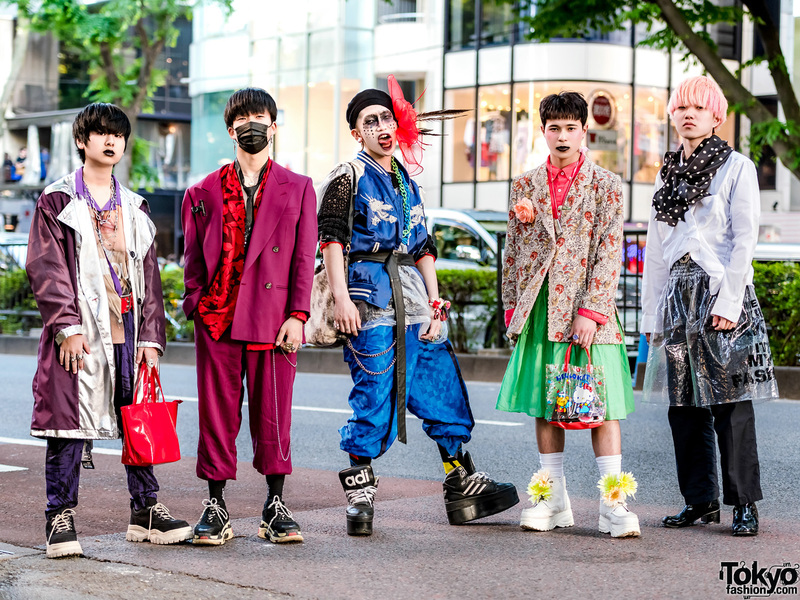 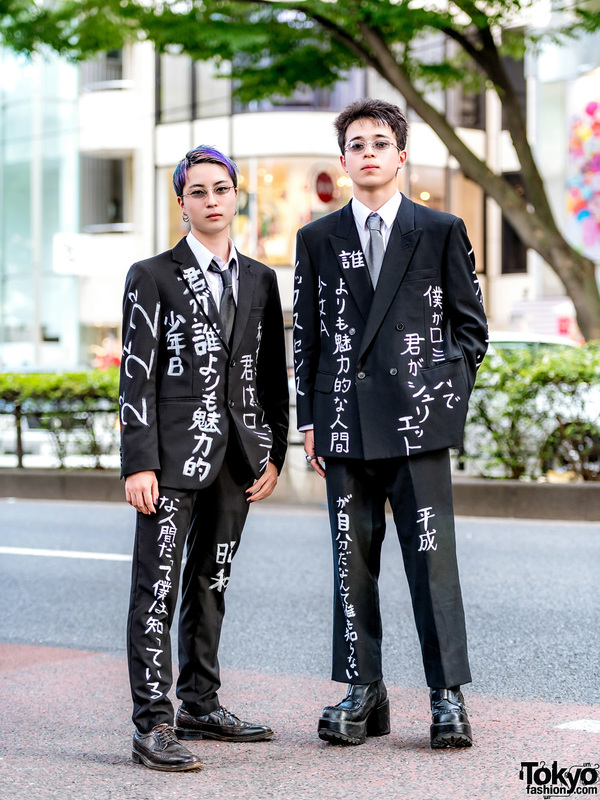 Harajuku guys in remake kanji print suits while out and about one afternoon. 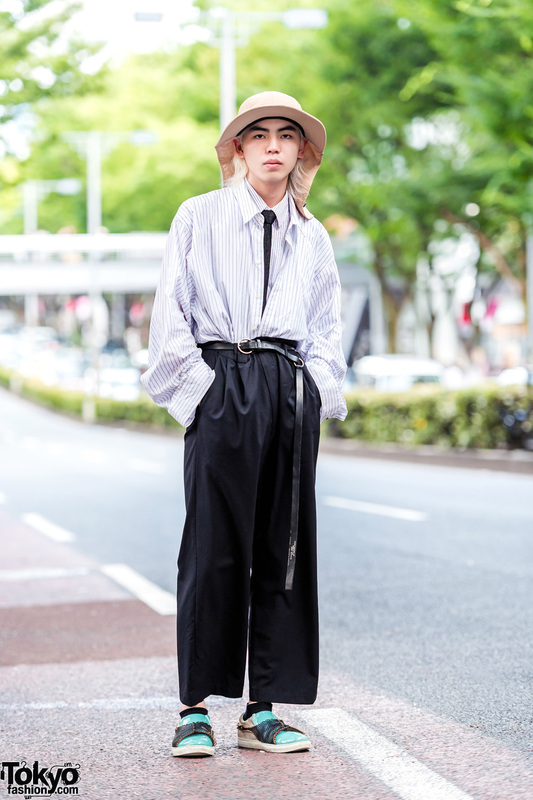 Japanese teen wearing minimalist monochrome street fashion in Harajuku. 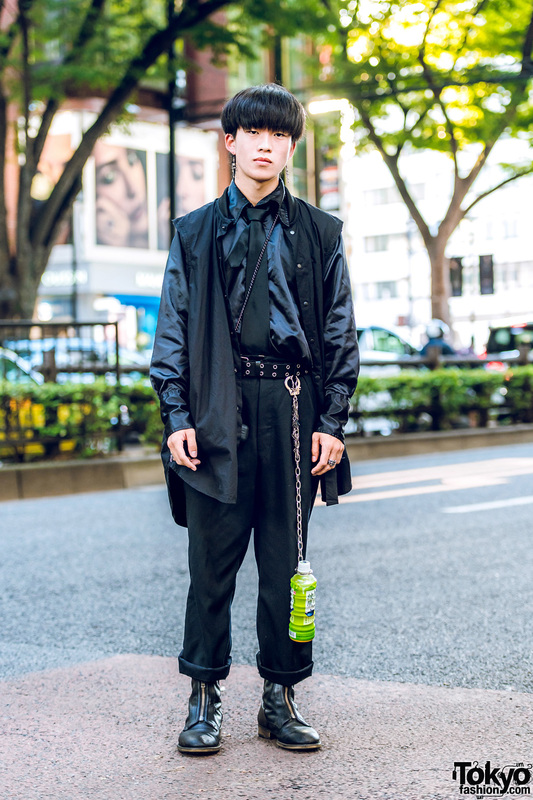 Japanese student with edgy street style in studded leather jacket and black leather lace-up shoes.